Admit It: You're a Badass! Fear is a useful emotion. It keeps us safe and prepares us to take action when we're in danger. Fear has been an integral part of our survival as a species - we all feel it. We generally start to label fear as 'anxiety' when it is disproportionate to actual risk; when our brains activate our 'fear system' without the presence of an actual threat. Every individual is different - we all have unique cues and triggers which set off this system, but make no mistake: we all have it and we all feel it, regardless of the actual presence or absence of a threat. Most of us have the luxury of being able to avoid our fears. If I have a fear of sharks, for instance, I can live a full and meaningful life without ever having to confront that fear. Provided I didn't have any ambitions of being a sailor or professional surfer, I can probably live my day-to-day life without ever seeing any repercussions of my shark fear. Individuals with OCD do not have this luxury. Obsessions are pervasive and all-encompassing. For someone with OCD, living a life in which you avoid your fears would be incredibly limiting and even debilitating. These individuals have no choice but to confront their fears. Sometimes individuals with OCD can feel shame about their exposures. The thought of "I should be able to do this" can be hard to shake. I recently worked with an individual who needed to perform counting rituals when tying her shoes - the prospect of resisting these rituals was daunting and she felt a great deal of embarrassment that this simple task was so difficult for her. I reminded her that her brain does not discriminate between rational and irrational fear when it sets off her fear system. Fear is fear, whether rational or irrational. It's the same internal experience; the same system activated by your brain. 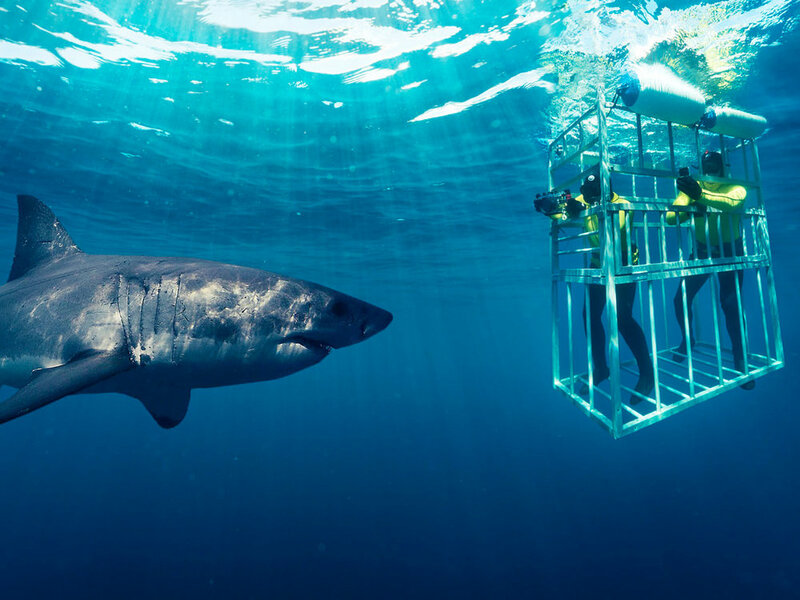 If we saw someone with a shark phobia decide to confront their fears and get into a shark cage, we'd say "Wow! That's incredible! ", and yet, with OCD, we often forget these experiences are the same. Resisting counting rituals while tying your shoes can evoke the same internal experience as someone face-to-face with a shark. It's important that we acknowledge just how badass exposure therapy is. ERP is not a therapy for the weak or timid; it's for courageous individuals who choose to confront their fears. While most people are coasting through life without ever having to confront their greatest fears, individuals with OCD are facing these challenges head-on, every day. That's badass.